Holiday Package Deals | 3D2N stay at 4* Best Western Boracay Tropics Resort with Breakfast, Return Ferry & Land Transfers! 3D2N stay at 4* Best Western Boracay Tropics Resort with Breakfast, Return Ferry & Land Transfers! Enjoy 4* or 5* accommodations as you recharge during a glorious beach vacation! Escape the smog and hubbub of city life with today's StreetDeal and vacation in the beautiful Philippines island of Boracay! Spend quality time away from the city to gather your thoughts and free your mind so you can return rejuvenated. It's the perfect place for a romantic getaway with your loved one, or it could also be one of the most memorable trips of your life that you went on with your best friends. During the day, laze around on a world-class beach amid powder-fine white sand and crystal blue waters. Go on a snorkeling or Scuba diving trip to any of the reefs surrounding the island, fly high by kiteboarding, or enjoy a sunset sail on a paraw. You can even rent a mountain bike and follow the trail up to Mount Luho, where you will discover that you have a bird's-eye view of the entire island! At night, there are plenty of beachside clubs, bars and restaurants to keep you entertained as well as relaxed so that you won't even be tempted to think of home. After all, it wasn't dubbed an island paradise for no good reason! So don't miss out on this awesome deal to plan for one of your most memorable beach getaways and get this StreetDeal today! EST WESTERN BORACAY TROPICS is a Triple A resort in Station 2. 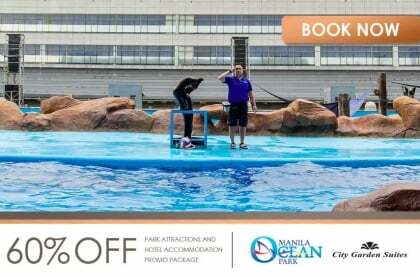 This is the highest accreditation given by the Department of Tourism to resorts. It is the equivalent of a Five-Star or a Deluxe status of a hotel. Its Mediterranean and Asian-inspired architecture, simple but elegant guestrooms and Cabana Suites, lush garden, and bean-shaped pool provide just the right elements to your well-deserved vacation. Guests can also indulge in a pampering treatment from our Oasis Spa and Nail Salon. 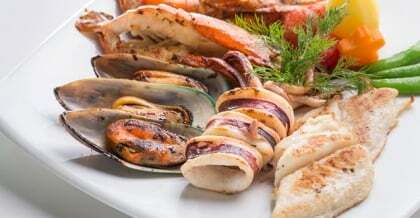 Of course, no vacation would be complete without really good food. TropiCafe Restaurant and Bar offers a wide selection of Asian dishes that have that home-cooked goodness guaranteed to satisfy the palate. Hotel has a total of (64) rooms namely: Superior, Deluxe, Family Room, Dorm Room (ideal for friends and families since it’s good for 6 people), Junior Cabana (ideal for honeymooners), and Premiere Suite (with 2 bedrooms). Other Facilities / Services: Banquet or Meeting Facilities, Function Room/Event Area, Room Service, In-room Massage, Business Center, Souvenir Shop, Playroom for Kids, Laundry Service, Travel and Leisure Planning, Complimentary WiFi Connection, Medical Assistance. Just a few steps from the beach, the resort is the perfect choice for those who want a peaceful stay away from the maddening crowd and noise of the beach front yet it is still close enough to the island’s attractions. The resort is truly a tropical oasis that gives everyone a relaxing chance to relive the quiet and peaceful ambiance of the old Boracay. Boracay Tropics gives you privacy when you need it, party energy at your fingertips. Boracay island is located at the northernmost tip of Panay Island, Aklan Province, in the Visayan region of the Philippines. Approximately 300 kilometer south of Manila. The luxurious Astoria Boracay is a beachfront property located at the premier part of Boracay Island - Station 1. 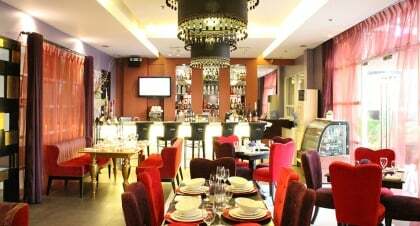 Conveniently located near the shopping area, popular restaurants and bars. 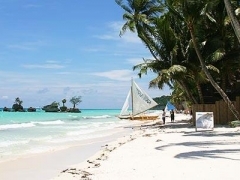 This world-famous Island of Boracay is accessible by air from Manila or Cebu through the two principal airports-the Caticlan Airport and the Kalibo Airport. One of the easiest and quickest ways to reach Boracay Island is by the air-route via the Caticlan Airport. Once you reach at Caticlan Airport, it is very easy to go to Boracay. 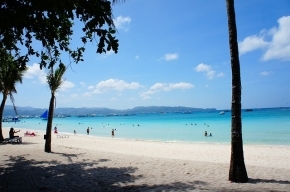 Boracay is just around 30-40 minutes away from Caticlan. There are tricycles available outside Caticlan Airport which will take you to the jetty port in three minutes. From the jetty port, a boat ride lasting for about 15-20 minutes will take you to Boracay.